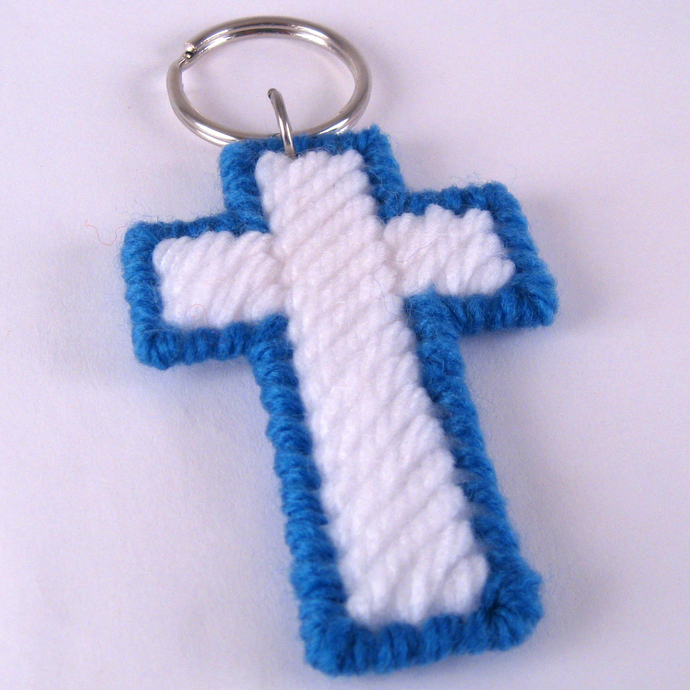 A blue and white cross attached with a jump ring to a sturdy 1-inch split ring will hold your keys. This would be a thoughtful gift for a Christian friend. Makes a colorful cross decoration for a purse, backpack, luggage or book bag. The perfect surprise for an Easter basket or give to a newly baptized person. It makes a delightful stocking stuffer for Christmas. You can even hang it on a tree to be found! If you prefer a different color combination, please let me know; otherwise you will receive a blue and white cross. I work with rescued yarn and the shade of blue may vary.